For over thirty years, Eleanor Still ran the informal, one-woman charity out of her Bow, New Hampshire home, operating a food pantry and giving holiday gifts to the local children and teenagers in need. Before her death in 2004, Eleanor arranged for her friends and supporters at the Concord Moose Lodge to carry on her work. The lodge offered a temporary rent-free home in Concord and a ready corps of volunteers; a combination that allowed Friends of Forgotten Children to flourish. In 2006, local businessman and racecar driver Robert Finlay read about the plight of Friends of Forgotten Children needing a new home. Mr. Finlay and his wife, Karin, did something extraordinary: they purchased a building for the organization. Shortly thereafter, Friends of Forgotten Children moved to its current home at 224 Bog Road in Concord which was generously gifted to us in 2016. The charity has never changed its mission from Eleanor's original vision. 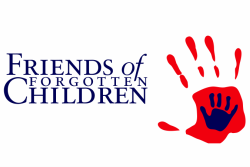 However, Friends of Forgotten Children is more than just a food pantry--it meets a vital and necessary need in the greater Concord community. For more information, please contact us via phone at (603) 753-4801 or email at director@fofcnh.org.